The fall of UseMyWallet casinos and safer alternatives for Canadians. The global online gambling industry has hit a lot of bumps and snags in the last two decades. Some were easily surmountable, while a others left lasting scars. Most of these issues circulate around regulation, or lack there of. 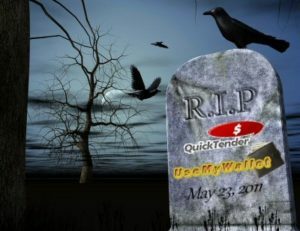 The fall of a once-popular iGaming payment method, Quicktender (a.k.a. UseMyWallet), was a direct result of such tribulations. In 2011, the US government dropped a heavy gavel on what it considered to be a plague of illegal gambling companies. Every relative service felt the impact. It wasn’t just the online casinos that were targeted, but the software companies that supplied them with their games, and the payment processing firms that facilitated deposits and withdrawals for them. Quicktender was one such payment processor. The company enjoyed enormous success for many years, servicing various countries all over the world. Most of its revenues came from the US; the same region that caused its ultimate downfall. Most of you are familiar with the label, Black Friday of Online Poker. Occurring on April 15, 2011, that was the day the US Department of Justice (DoJ) seized the domains of PokerStars, Full Tilt Poker and Absolute Poker – the three largest US-facing operators of their time. But not so many are familiar with May 23, 2011, forevermore known as Blue Monday. That was the day the DoJ went after UseMyWallet (and many other illegal iGaming operations) fr violating the Unlawful Internet Gambling Enforcement Act of 2006 (UIGEA). On Blue Monday, a large, untold amount of funds were seized by the US government while in transit from Quicktender’s European banks to American bank accounts. Unfortunately, yes. This could easily happen again, and again, simply because some markets – despite prohibition – are simply too tempting for online casino operators. The US remains at the top of this list, but there are others, too. Australia jumped into the number-two position last year when their government passed legislation prohibiting international online casino and poker sites from accepting Aussie players. If history has taught us anything, it’s that players still want to play, and operators will continue to accept them, so long as there’s money in it. In order for that to happen, there must be a payment processor willing to capitalize on the illegal market by facilitate fund transfers… just like Quicktender did up until 2011. You can avoid becoming yet another victim by making educated choices. Do not use any online payment method that also works with players in countries where online gambling is illegal (US Australia, etc.). Better yet, don’t join any online casino that accepts players from such countries. These websites – if licensed at all – are licensed in jurisdictions where the regulations are so lax, that pretty much anything goes. If the operator, or their payment processors, fall apart, or disappear into the great blue yonder, players have no means of retrieving their funds. There’s no authority to turn to that will stand up and fight for their rights. Here in Canada, there are plenty of reputable, properly regulated online casinos and payment options to choose from. The following is a brief list of the most distinguished, reliable deposit and withdrawal methods for Canadian players. 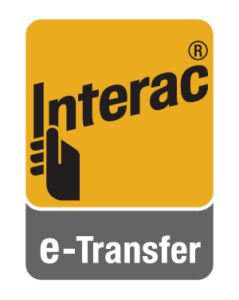 Interac is a nationally networked, secure online banking system associated with most Canadian banks, credit unions and financial institutions. This services is available in Canada only. Most of these services are free, and there’s no need to register an Interac account. If you have an account with any associate bank, you already have access to Interac. Entropay allows users to open a secure, online Virtual Visa account. 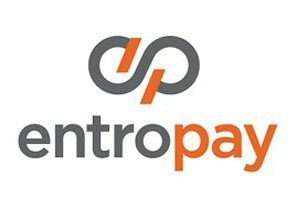 Canadians can sign up for Entropay’s standard eWallet service, giving them access to iGaming-related transfers. US residents may only register Entropay Classic accounts, which do not permit online gambling transfers. EcoPayz (formerly EcoCard) offers two options, a full eWallet service for deposits and withdrawals, and eVouchers for secure, anonymous deposits. This is one of the few online payment processors that permits Canadians to deposit and withdrawal directly in CAD, avoiding the usual currency conversion fees. 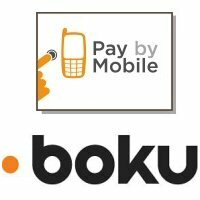 Boku’s Pay-by-Mobile service allows Canadians to deposit at online casinos, adding the amount onto the player’s mobile phone bill. For regular service customers, the purchase amount appears on their next monthly bill. For pre-paid, pay-as-you-go plans, the amount deposited will instantly come for the player’s mobile phone credit balance. Note that withdrawals are not an option. PaySpark (aka EziPay) is a highly secure eWallet service. It is more complex than most services. You cannot simply register an account. 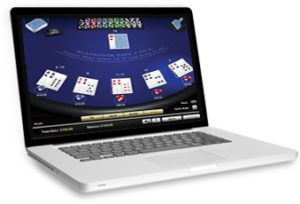 One of their online casino partners must request registration of an account on your behalf. Users must then go through a stringent identity verification process to increase their deposit/withdrawal limits. Although tedious, the security of PaySpark is unbeatable. These are just a few of the best payment methods for Canada online casinos. Please use the links provided to learn more about each service, so that you can pick the best option for your needs. Play it smart, and you can avoid becoming a statistic, like so many former members of Quicktender / UseMyWallet casinos.